In 2003, the Long Winters released their second album into a crowded field of cleverly crafted, melody-driven guitar rock. 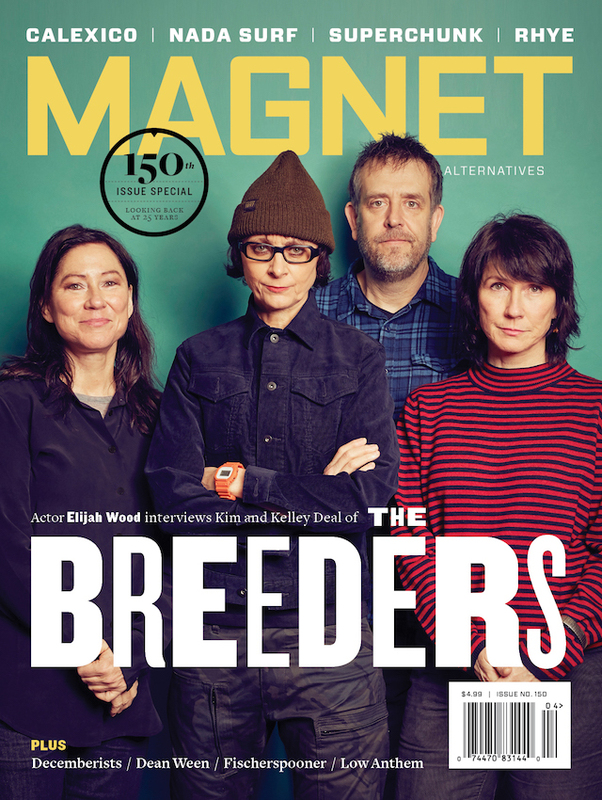 Given the crop of that particular era—the Shins, Decemberists, New Pornographers, Pernice Brothers, Weakerthans (and lord, can I get a Beulah? )—you would be more than forgiven for not recognizing When I Pretend To Fall as the cream that rises more than a decade later. The album produced neither hit singles nor commercial jingles, and it all but destroyed the fragile league of extraordinary frenemies who created it. It’s the great sound of coming together while everything is simultaneously falling apart. John Roderick, the man at the center of When I Pretend To Fall, was striving: hoping to win back a girl and attempting to make his mark in a microcosmic indie-rock scene. Walla, seven years younger than Roderick, seemed to belong to another generation. Although Walla would later be Roderick’s go-to producer and benefactor, Roderick initially resisted Walla’s boy-genius DIY aesthetic during the Western State Hurricanes era. In 2001, Roderick left Seattle to mend a broken heart in New York City, where the late-blooming songwriter found the creative spark and emotional thrust behind what would become the Long Winters’ masterpiece. He was bolstered by exposure to a class of albums—by Spoon, Belle & Sebastian, Nada Surf, Teenage Fanclub and others—that combined inventive hooks and melodies with astute lyrics on subjects that were mostly elusive and bittersweet. Roderick returned to Seattle shortly before September 11 and put together a band—bassist Eric Corson and drummer Michael Shilling—to play live dates and eventually record When I Pretend To Fall. The sessions began in late 2002 at Walla’s Hall Of Justice studio, a triangle-shaped building where Jack Endino had recorded grunge landmarks such as Nirvana’s Bleach and Mudhoney’s Superfuzz Bigmuff. But even before the first notes were put to tape, the Roderick/Walla/Nelson triumvirate that had been responsible for the Long Winters’ debut began to fray. Nelson, not far removed from Harvey Danger’s chart-topping success, found his creative function in the Long Winters to be severely limited. The album’s apex is “Scared Straight,” which seems to roll downhill and gain momentum as horns swell and Roderick’s lyrics tumble out with sharp edges around them: “It’s true little miss mean mini-bar guard/We’re gonna have to try something new/Let me breathe fire down on you.” The song is one of drummer Shilling’s fondest memories of the recording session. As the recording proceeded in financially motivated fits and starts—Walla had cut the Long Winters a deal, and they worked in between his other studio projects—Roderick became less loveable. Though the band generally got along while on the road (“Long Winters tours were just endless hours of eating corn dogs and throwing Dorothy Parker quips at each other,” says Roderick), the frontman cops to being dictatorial at times. According to bassist Corson, the process was made more painstaking—but also more intense—by the fact that the album was being recorded to analog tape. Walla estimates the album was approximately three-quarters finished when things began to bog down in an impenetrable mess of disorganization, unfinished tracks, missing vocal takes and endless tinkering. After a particularly heated argument between producer and artist, Walla felt the need to step outside and clear his head for an hour or so. “I went to get food, came back, and the studio was empty and all the tapes were gone,” says Walla. Enter Posies singer/guitarist Ken Stringfellow. In Seattle, the Posies are a godfatherly presence, the band that broke out not due to the hype of grunge but rather the highness of their vocal harmonies. Stringfellow had recently released a well-received and stunning, ornate solo album (2001’s Touched) and had won acclaim for his production of Damien Jurado’s complex and moody Rehearsals For Departure. When Stringfellow agreed to take over production duties for the Long Winters, it provided an apposite stylistic counterpoint. Stringfellow’s take on the bare-bones, Walla-recorded “It’ll Be A Breeze” illustrates the two producers’ divergent approaches to making records. Stringfellow was so disdainful of the sound, he later recorded his own version of the song and released it on a covers EP. With all the various egos and claims to the producer’s chair—Roderick also has a production credit, as well as engineer Kip Beelman, an unsung hero who shepherded the mixing—the list of grievances grows long. Walla hijacked a bass line here. Some of Nelson’s backing vocals got elbowed out there. Stringfellow mixed the record and jetted to Spain the next day. In the end, Roderick reveals, it was all about a girl. The songs on When I Pretend To Fall were inspired by a romance and the subsequent heartbreak he felt in New York City after it was over. Roderick reunited with the woman after two years apart, and he played her the album on a long drive across the Puget Sound to the Olympic Peninsula, explaining that she was the inspiration for much of the record. It was supposed to be a soul-baring moment; a way to reveal things that most humans can never express with words alone. 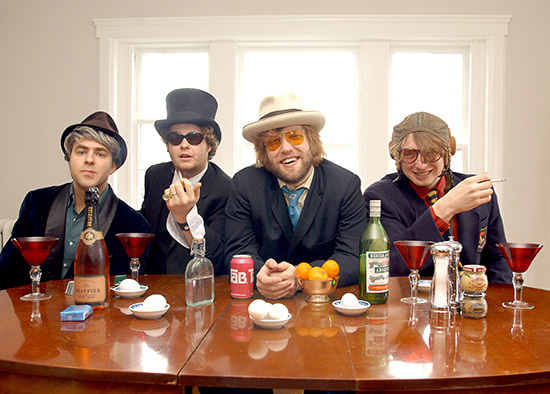 Following its 2003 release on indie label Barsuk (home to Death Cab and Nada Surf), the Long Winters doggedly promoted the album: four European tours, multiple U.S. treks and lots of press and college-radio promotion. But it just didn’t take; and the world instead embraced the Decemberists and the Shins. Finding success in indie rock is akin to the classic tale of trying to become popular in high school: a seemingly small pond, yet endlessly difficult to conquer and nearly impossible to achieve satisfactory success.